Hamby Home(in)stead ...: A key week! 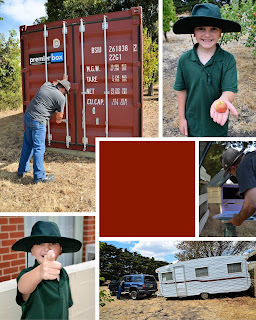 After settling Vaughan at school for his first day (ie, he waved us off cheerfully, calling "see you in a few hours"), we collected the keys and inspected our new abode. Our landlord had been doing some painting and we spoke to her about how the house works (tank water, gas bottles, firewood, heated slab and so on). She seems quite laid-back and made suggestions as to livestock as well as giving permission for some outdoor improvements. The house needed some improvement also. To use one of the property manager's euphemisms, it "needs attention"! We hired cleaners on Tuesday and they did some very good work in the bathroom/toilet and kitchen - but there is a lot more to be done. I am on a program of cleaning a few windows and screens each visit but the walls need help also and though I always like to hang up my frames etc as one of my first missions, I can't do that till the grime is removed. One bedroom and the hallway are bare concrete, so we purchased second-hand carpet tiles and some large pieces of rather funky axminster carpet. Vaughan and Nick have since laid the carpet tiles and I have cleaned the existing two rooms of carpet plus the carpet pieces and tiles that have been laid. We will hire the Britex machine again after Nick carpet(tile)s the hallway. I may obtain the upholstery wand also and refresh a fabric lounge. Regardless of anything else though, I will definitely be purchasing some ear-muffs before my next bout of carpet cleaning! 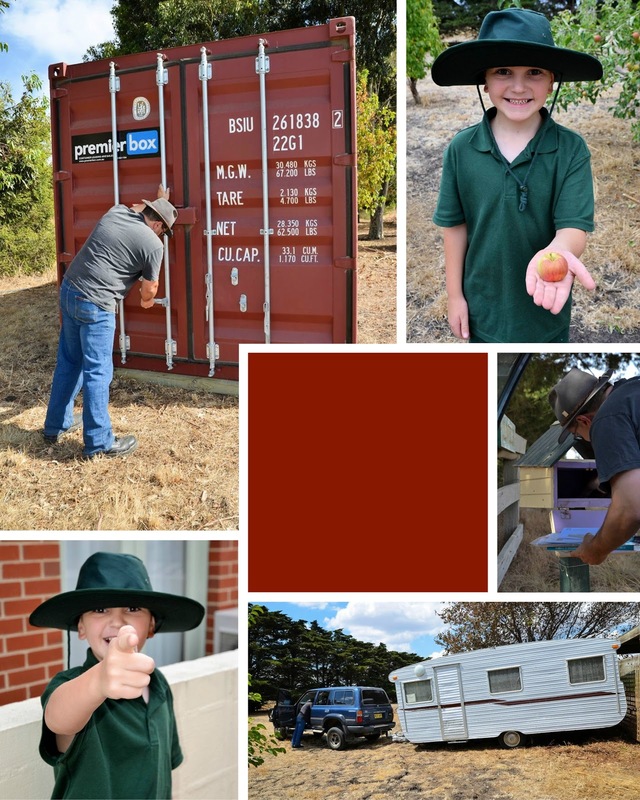 Erin's caravan is in place and our storage container was delivered also, the day before the truck arrived with our 70 cubic metres of furniture and belongings. 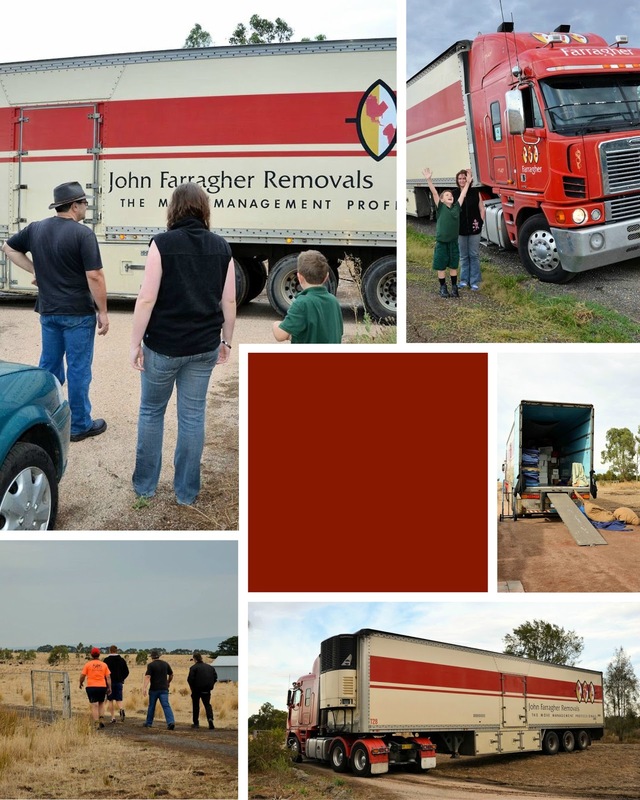 I hasten to emphasise that as large as the truck was, our stuff was a little under three-quarters of the full load! Chaos reigns at this point. Nick and I sorted a lounge area yesterday. Our bedrooms have furniture. Beds are yet to be made. There are boxes everywhere and the hunt is on for everyday items though the vacuum cleaner and crockery were unearthed yesterday! (We labelled boxes but there were trolleyed from the truck in stacks so location decisions were based on the top couple only. It will be some time before they are in the right place - hopefully at the right time)! Oh you have been busy! That truck is HUGE!!!! Can't wait for the next instalment. The truck holds 100 cubic metres in total. 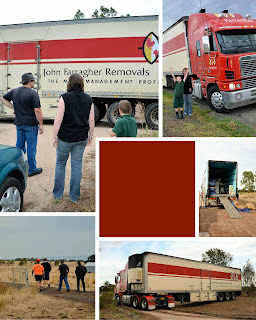 When it pulled up and was chockers to the rear doors with our stuff, it was hard not to feel somewhat daunted!